Many people experience arm pain and think little of it, especially if they are active and perform strenuous activities with the upper body. However, there are circumstances of arm pain in which you should see a doctor, specifically when you should: seek emergency treatment, see a doctor promptly, schedule an office visit, or perform self-care. If you experience arm, back, or shoulder pain that occurs suddenly, is exceptionally severe, or is supplemented with pressure, fullness, or tightness in the chest, you should seek emergency treatment immediately as this may indicate a heart attack. 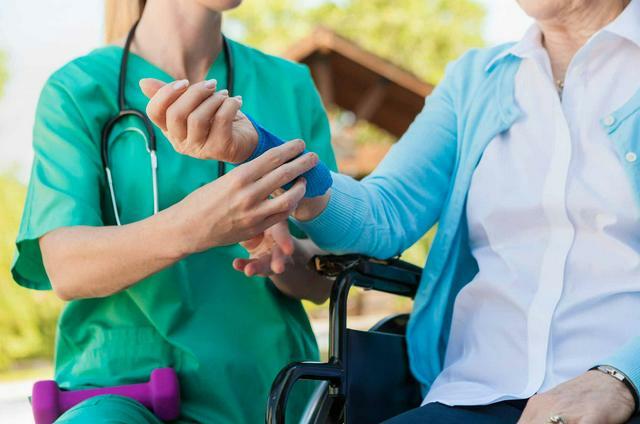 Another reason to seek emergency treatment is if there is a protruding bone in your wrist or arm, another obvious deformity, or if you have excessive bleeding or another injury. Even considerable arm injuries can be initially relieved with treatment at home. If you believe that you have a broken wrist or arm, you should apply ice to the affected region and utilize a sling to assist in immobilizing your arm until you can see a doctor. If you have a repetitive strain injury or compressed nerve, be unfailing in your therapy; sustain proper posture; take repeated breaks during tedious activities and at work. Most common types of arm pain may improve over time on their own, in particular if you begin the R.I.C.E. method promptly following the onset of injury.